Playoff Seeding is All That Matters Now! While there are six games slated in the NBA this Wednesday, the focus of sports betting fans will only be on two matches. Utah are already secured of a postseason berth, but they can still finish inside the top four of the tough Western Conference if they beat online gambling heavyweights Golden State Warriors. In the Eastern Conference, all eyes will be on the Philadelphia 76ers as they try to defy betting odds and end the season as the No.3 seed—an incredible jump for a team that finished with the fourth worst record in the NBA last year! Domantas Sabonis exploded for 30 points against the Hornets yesterday, and he’ll likely want to follow that up with another big performance as they gear up for the playoffs. Charlotte have the tools to stay competitive in this game. However, it’s clear they are no longer playing to win, but rather trying to develop their younger guys and giving them as much experience as possible. Winners of 14 straight games, the Philadelphia 76ers have finally seen the result of the process. Now, they are in contention to finish ahead of LeBron James and the Cleveland Cavaliers. Fortunately for the Sixers, their streak is likely to continue as they play the lowly Hawks who would welcome defeat with open arms. Also, it’s not like Atlanta have an answer for Ben Simmons who recently recorded 27 points, 15 rebounds and 13 assists in a win against the Cavs! Go for Philly -9.00 @ 1.87. The Celtics have stumbled as of late, so it’s not farfetched for Washington to upset the second-seeded team. Nonetheless, the Wizards have been in a slump as well, losing four of their last five games since John Wall’s return. Moreover, there might be more problems brewing inside the Wizards’ locker room especially after successive defeats to Cleveland—during which they blew a 16-point lead—and Atlanta. That being said, choosing Boston +6.50 @ 1.96 might be the best move. With the Phoenix Suns sure to end the season with the worst record, they can now go all out and close the year in style. The Mavericks can put up a fight from time to time, but they can’t seem to solve the Suns who have torched them twice this season. 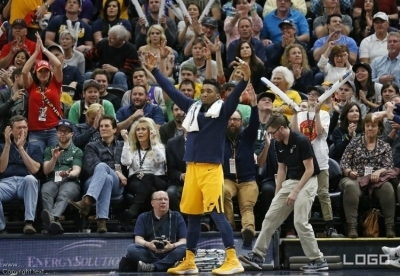 It has been an incredible season for the Jazz after almost everyone counted them out this year in the wake of Gordon Hayward’s departure. Now, they are on the cusp of finishing in the top-half of the West. The Warriors might not be favourable opponents at first look, but the Jazz have already taken down the defending champions twice this 2018, a 129-99 demolition in January and 110-91 thrashing last month. Defence has been the key to the Jazz’ rise, and they could well use it to their advantage to upset the Warriors who aren’t the usual threat they are without Steph Curry. If you’re punting, Utah -7.00 @ 2.00 is a worthwhile proposition. The Rockets have been the best team in the league this season, there’s no doubt about that. However, with the team already assured of the top spot, Houston coach Mike D’Antoni might opt to limit the minutes of his stars as they aim to stay healthy heading into the playoffs. Although that’s still uncertain, the Lakers undoubtedly have a fighting chance considering their last two meetings with the Rockets ended close. Click for more basketball betting options.